I am still in disbelief that 2017 is here. Now. How did that happen?!!! Nevertheless, I have mixed emotions about saying good-bye to 2016. My sister and her family do a nightly ritual of sharing their "high" and "low" point of the day over dinner and I think it is such a sweet way to connect with your children and spouse and help you tune into each other, regardless of how your day went. 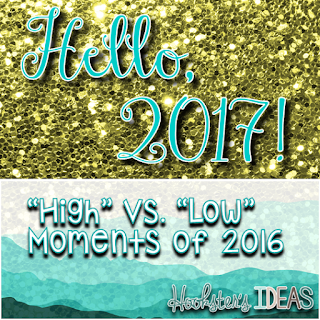 So this New Year's I will share with you my "high" and "low" point from this year. As I went back to my Google Doc with my goals for 2016, I found it hard to choose just one high because frankly, this year had a LOT of really high moments. That is something to be grateful for just all by itself. With that said, the point of this activity is to choose just one "high" moment. After much thought, I would have to say it was the day I got my son's developmental evaluation report back at 20 months. Aside: For those of you who are not aware, my son was born 10 weeks premature and was an itty-bitty 2 pound 11 oz'er who spent his first three months on this planet in the NICU. All the doctors and specialists we see said that the goal is to have them caught up developmentally by their second birthday. So as we rapidly approach my son's second birthday, my husband and I clearly have this on the forefront of our thoughts. So back to the high moment...on this assessment of him at 20 months, he scored at his actual age for all areas except cognition and expressive language. Cognition he scored 23 months!!! His expressive language is still slightly delayed, but his SLP is not worried in the slightest and neither am I! It has been a long/short 2 years. Those first few months took years off my life, but these past 1.5 years have flown by and I have thoroughly enjoyed being his one-on-one teacher! My "low" revolves around my "high" this year. Typically, my first reaction after such news is to call my husband, mom, dad, and sister to share the news (both good and bad). In May of 2016, though, my dad passed away at the young age of 63, which left me dialing his number, only to have to hang up. His passing has left a huge hole in my heart and has been very hard on our family as he was very much an integral part of each of our lives. The strange thing is, that because I had a close relationship with my dad, I can hear him as I tell him in my mind the news and can predict what he would have said in response. In this situation, he would have said, "That is great news, honey, but it isn't anything we didn't know already." It warms my heart to hear his voice and reassurance in my head and yes, sometimes I feel a little crazy thinking that, but nevertheless it is comforting. With every low, it is important to find those people and thoughts that comfort you and my dad will always be a comfort and source of encouragement to me even he isn't physically here. 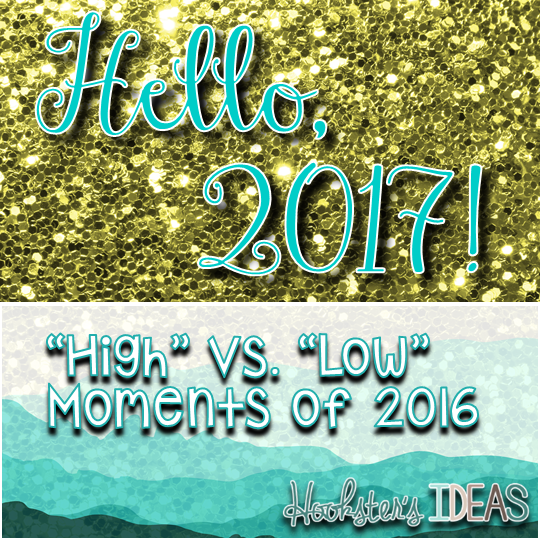 So my question to you is what is your "high" and "low" from 2016? This high/low strategy would be great for a ticket-out-the-door in your classroom. Students could write it on a post-it and leave it on their desk or you could discuss during a morning meeting as a form of reflection on the previous day. They could also reflect on the previous year just as I have and I hope you will too. As I open up my blank Google Doc page to start drafting my 2017 goals, I am excited at what new opportunities have already come my way. One of which is a new collaborative blog I have joined called Conversations from the Classroom. It is a place where teachers Pre-K-7th are coming together to share their ideas, stories, and resources with new posts daily. I highly encourage you to join the conversations. We just launched today and have a giveaway and some great dollar deals going on, but more importantly, we have some really strong content coming up this month and there really is something for everyone! Click on the link for all the details and how to follow us. Stay tuned for my monthly conversation which will focus on all things 5th grade with a focus on Intervention!